Is not the existence of such firms the "not socially responsible" problem. After all, what's the difference between destroying a few end of line cloths etc and creating such items to be short lived after purchase (as is the nature of fickle fashion)? The socially responsible thing is to create goods that do not have a "fashion" short life but only for utility function (keep out the cold, rain, Sun, modesty, hygiene etc). Manufacturers should be allowed only to produce socially responsible products. Then everyone could shuffle in their shoddy slippers, wearing their grey ticking overalls, off to their MickeyD's Soylent Green burgers dinner. The world's most expensive combustion fuel? But in the end the people who buy their products in the first place don't really care about something like 'green' in the least. As long as such negative publicity in the general populace doesn't affect the brand's buyers in the least - who cares, right? The people who buy their product want it to be a conspicuous sign of their wealth, they would want the excess burned to maintain it's price. 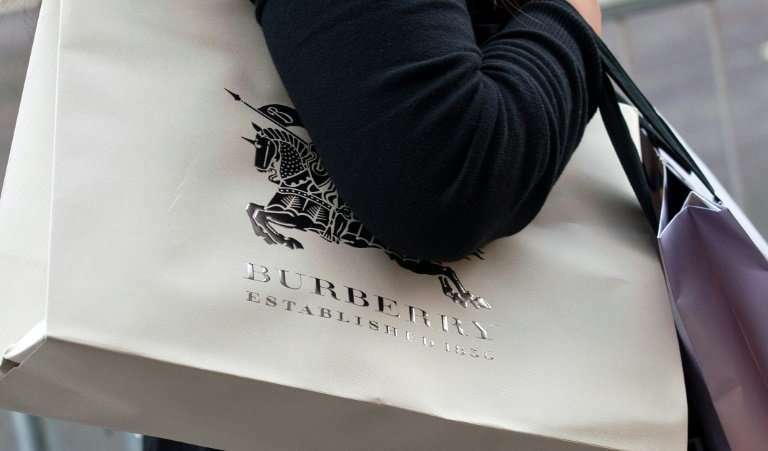 Imagine if everyone could afford burberry, then the present customers would not buy it. As I've said, this is the Age of the Prophet Orwell. Destroying productivity and endless wars and enforced patriotism based on hate and fear and greed. Guy was a true visionary. I wonder if an anthropologist would consider these excesses of wealthy exclusivity as an example of 'potlatch"? It was years ago, a friend who managed a retail outlet for a national chain of men's discount clothing. In general good quality, upper middle class products. He described that sometimes they received lots of unsold goods. Returned to the distributors from high-end stores. And that the truly highest quality couture-line products would have the original designer tags removed and replaced with some ad-hoc designation. For those who learned to recognize the original brands? Careful shopping through the off-brands could find very high quality clothes for a fraction of the original prices. As an economist, I read through this with a growing feeling of "Everyone is missing the point!" Burberry's accountants did not decide to have a big end-of-year bonfire. They did the socially, economically, and environmentally responsible thing of accounting for this practice to the owners, operators, and customers of the company. As for what Burberry did? Business as usual. Some cosmetics and perfumes were beyond their sell-by date set to protect customers. Others were apparently destroyed due to losing the license to sell that line. As for clothing? Some garments would be total rejects, for example an overcoat with a sleeve in the wrong place. Those might be sold as scrap fabric or used as rags internally. Items with minor imperfections? Those are often sold as off-label brands, which can also be done with fashions that exceed their sell by date. Any company is going to do what they can to reduce this P&L line. They also need to consider the total effect of a change.